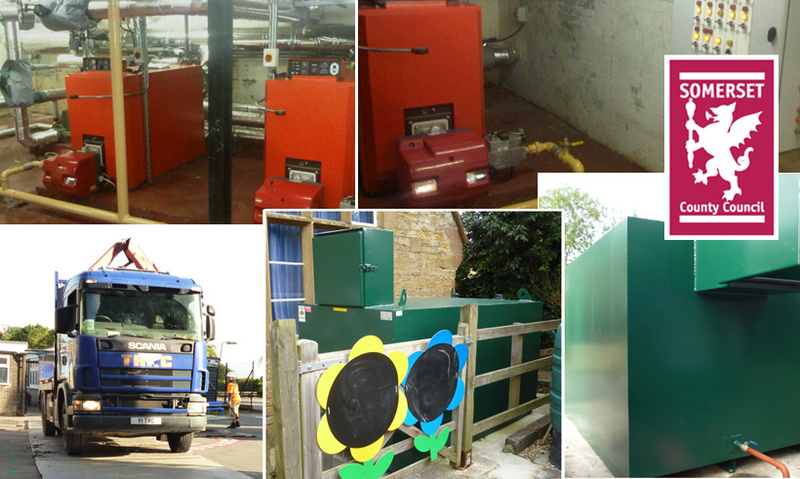 We have carried out heating replacement works at over 15 schools/ colleges across Somerset. The boilers were a mixture of oil fired and gas fired. Works included:• De-gassing and replacement of oil storage tanks retaining existing oil fired boilers • Replacement of oil fired boilers with gas fired • Replacement of redundant gas fired boilersWe installed associated pipework, tank oil level sensors and bases where required.